Note: We are always updating this list as plans and coverage may change throughout the year. This allows us to provide the highest level of service to our patients. Please call if your plan is not listed or you have any other insurance question. We will be happy to assist you should you need any help. All patient co-payments and/or out of pocket expenses are always due “in full” by the time service has been completed (unless prior arrangements have been made and signed). Forms of payment that are acceptable are cash, check, Mastercard, Visa, Discover and American Express. We are also excited to offer CARE-CREDIT for those who qualify. This can be a great interest deferred financing option that is available to those who are in need of spreading out their payments over a long period of time. With these special plans, your dental care is now more affordable than ever! 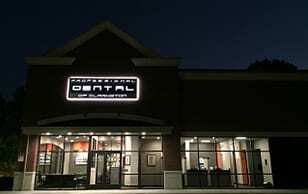 You can now have the dentistry you want and need! CLICK THE LINK BELOW TO APPLY TODAY OR CALL OUR OFFICE FOR MORE INFORMATION!